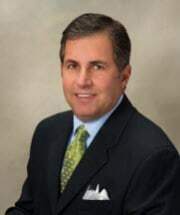 A sole practitioner in Cleveland, Ohio, Mr. Edelstein focuses his practice in the areas of commercial collections, landlord/tenant law and corporate matters. Mr. Edelstein received his undergraduate degree from Tulane University (BA 1980) and his J.D. (1983) from Case Western Reserve University School of Law. Mr. Edelstein is a member of the Cleveland Metropolitan Bar Association and admitted to practice in the State of Ohio. After law school, Robert spent two years as an Assistant Attorney General for the State of Ohio. Upon entering private practice, Robert was appointed Special Counsel to the Attorney General's office, helping pursue collections on behalf of the State of Ohio. Since its founding in 1997, the Robert's practice has concentrated on helping businesses collect outstanding receivables & judgments. The firm also helps clients with credit applications, contracts and preparing other documents used in the course of conducting its daily business. In addition, Robert represents landlords in both residential and commercial properties in the eviction and collection process. As many creditors know, obtaining a judgment is only the beginning of the battle. Through years of experience Robert has learned to use many tools of modern technology to help locate assets and places of employment. In addition, Robert's office uses the most up to date collection software to help keep track of your files, calculate accruing interest and allow for efficient preparation and filing of post judgment collection documents. A successful collection attorney understands the many options available to collect money, whether through bank attachments, wage garnishments or having judgment liens filed which attach to debtor's real estate. Robert's practice focuses on handling matters throughout the State of Ohio, but he can also work with you in placing files around the country and monitoring local counsel's progress. Collection matters can be handled on either a contingent or hourly basis, to discuss what works best for you contact Robert for a free consultation. As a sole practitioner, you will always deal with Robert directly.